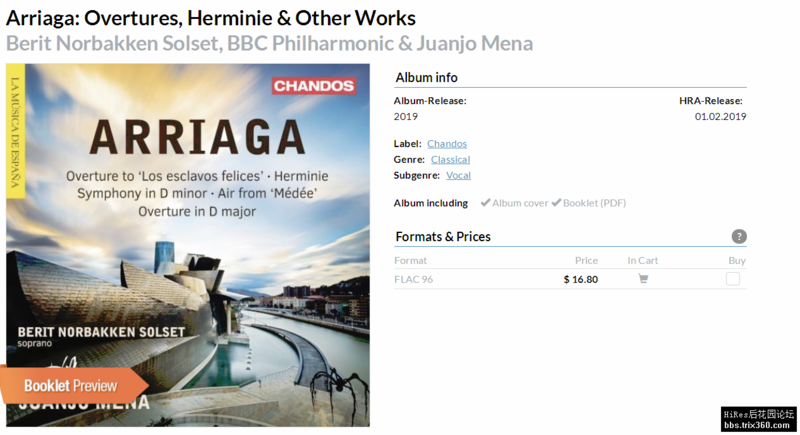 Total Size: 309 mb / 1.2 gbSpanish music specialist and former Chief Conductor of the BBC Philharmonic Juanjo Mena continues the series La Música de España, which has seen the recording of some of the orchestral works of de Falla, Turina and Albéniz, with another important Spanish composer: Juan Crisóstomo de Arriaga, nicknamed after his death as ‘the Spanish Mozart’.The orchestral overture to ‘Los esclavos felices’ (The Happy Slaves) is all that remains of the opera the child prodigy Arriaga wrote aged 14. When Arriaga moved to Paris to study under Fétis, Guérin and Baillot in 1821, he revised the overture, making changes to the instrumentation and removing a third theme group. It is the revised version heard on this recording. 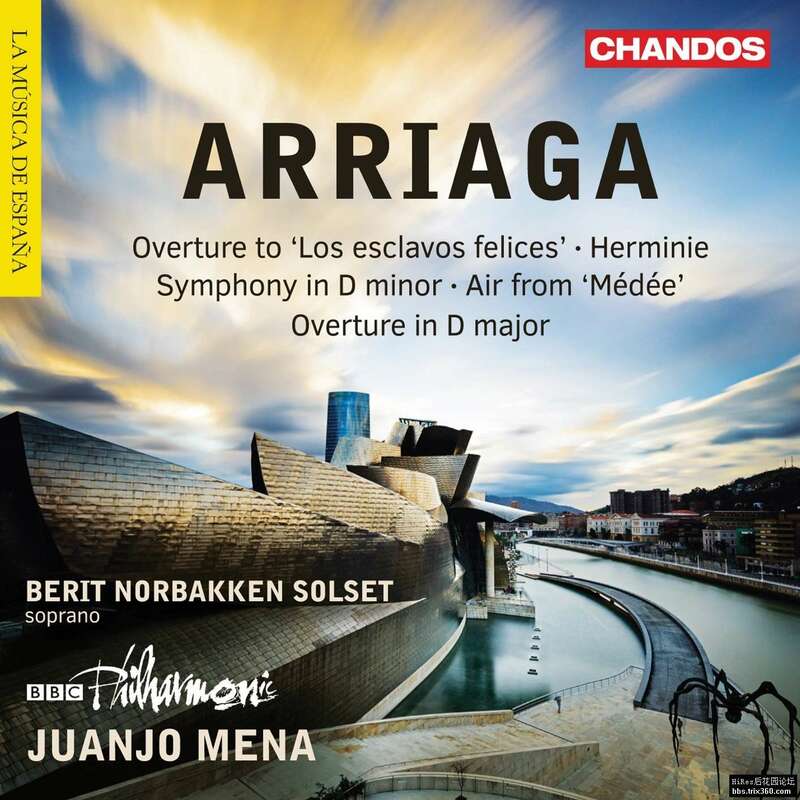 Air from Médée and Herminie form parts of the autograph volume ‘Ensayos lírico-dramáticos’ (Lyric-dramatic essays) that completes this release, here sung by one of Scandinavia’s most sought after concert singers, Berit Norbakken Solset. Tonally ambiguous Symphony in D minor (which begins and ends in D major) alongside the Overture in D major, which was written ‘without having learnt the principles of harmony’ are proof that Arriaga’s premature death aged 19 was a ‘sad loss to Basque music’. 03. Herminie: No. 2, Longtemps, hélas! 05. Herminie: No. 4, Il n'est plus... Dieux cruels! 06. Herminie: No. 5, Se peut-il!